Split, Natural Solid Bamboo is an affordable way to decorate a rustic tropical setting. * 6 Feet High by 15 Feet Wide. 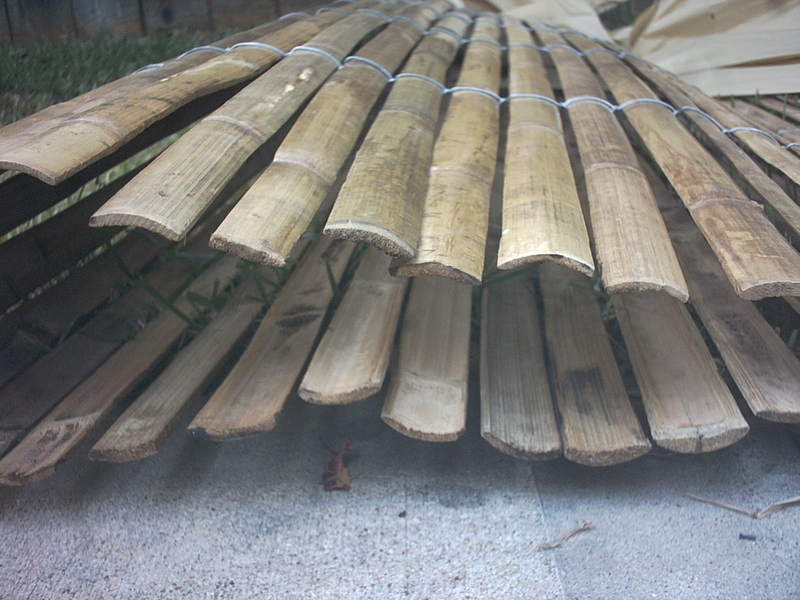 * rows of galvanized steel wire connecting all bamboo pieces tightly together to allow better privacy fencing. * Wall thickness is about 1/4". * Node is still prominent. * Good resistance to splitting and cracking. * Great way for covering chain link fence by just using wire to attach to chain link fencing, very easy. * Best cost effective way for a beautiful bamboo fencing material. * Bamboo fence will last 6-8 years in most climates. 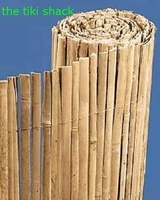 * Best bamboo fence for privacy. * Color is in variations of tan and honey. * This bamboo is pre-split from a Natural Solid Bamboo pole. * Width can be cut down by cutting rows of wiring and remove unwanted bamboo pieces and twist wiring back up. * Attach by stapling with a staple gun or dry wall screws. Can I stain the bamboo? *No, you would need to sand it lightly to remove the waxy layer before applying stain. Is Bamboo - Split, Natural susceptible to insects? * Our bamboo is treated in various ways to prevent insects. Is the bamboo diameter the same width throughout the length of the bamboo pole? * Because bamboo is a natural product, the diameter can vary up to an inch per 10 linear feet. Please note that all split bamboo fencing will have natural oil spots on both side of the fence. This is not mold.